By Meera Senthilingam, for CNN. Editor's note: Tomorrow Transformed explores innovative approaches and opportunities available in business and society through technology. Viewing this on a mobile device? Click here for mobile version. (CNN) -- The energy needs of the world could all, in principle, be fulfilled by one single source -- the sun. There are challenges in making this a reality, however: affordability first, and finding a way to capture this energy efficiently to turn it into electricity. Recently, a new material known as perovskite has seen the light of day and within just a few years it has started rivaling the efficiency of traditional photovoltaic solar cells, which currently maxes out at roughly 20 percent. This is the amount of solar energy that gets converted into electricity and the higher this is, the more we meet our energy needs. Over 80 percent of today's photovoltaics are made from crystalline silicon, but the high expense of both their production and installation means we are in need of alternatives. 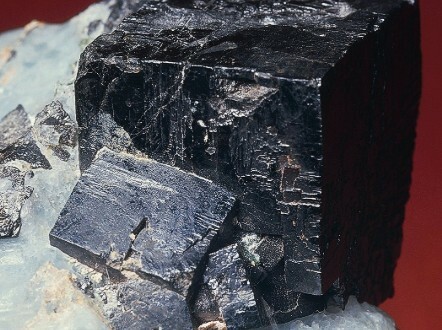 Perovskite is a mineral found in the Earth's mantle, named after Russian mineralogist Lev Perovski. Since 2009, it has caught the attention of researchers across the globe, including those at Oxford University and the Federal Institute of Technology in Lausanne (EPFL). "In a very short time, perovskite has begun to produce extremely high efficiencies and there's 'perovskite fever' going on," says Michael Graetzel, Director of the Laboratory of Photonics and Interfaces at EPFL. "Today, efficiency has peaked at 18 percent, but it's expected to get even higher in the future." Graetzel discovered how perovskite works and he's helping develop new solar cells as well as potential ways to add on to existing ones: "You can put perovskite on top of traditional silicon cells to make them more efficient," he says. "This is not an expensive process and can become an attractive application for mainstream solar panels." Perovskite is offering new hope for versatile and efficient solar cells to meet our future energy needs. Stability tests are still needed as this magical material is sensitive to water and high temperatures: "This is all being examined now. I'm optimistic and sure this can be tackled. It's an exciting time". Perovskite solar cells may be the ones to watch, but the search for the most efficient, affordable and usable form of solar energy is a diverse battlefield. Click on the images above to discover the many ways our sun's rays are being harvested to power our lives. Darknet: the web of the future? What will the internet of the future look like? And what purpose will it be used for? 2015's Sundance Film Festival will feature nine virtual reality installations. Tourists might not get the chance to see him in person, but they can now get pretty close thanks to the Smithsonian Institution. A panel of experts has spoken: these are the must-have apps right now. Can the web predict the future? Ever since two men first laid a bet on two flies climbing up a cave wall, gambling has struck at the core of the human condition: the future is uncertain. In business, it might pay to keep the customer happy, but how far should you go just to keep the peace? Skype users will soon be able to conduct voice and video calls supported by a near-real time translation technology. How an app became the messaging tool of choice for Hong Kong's protesters. A cosmic elevator on a diamond cable? A breakthrough in nanotechnology could mean we will be riding into space on a cable made of diamonds. There may be plenty of idiots on the road, but is putting them in the skies taking it to the next dimension? Two wheels good, one wheel better? Despite a patchy history, new technology may give a new lease on life to the humble unicycle. Fed up with waiting at pedestrian lights when there's no one there? New technology could fix your frustration. Will we still be useful? As the 21st century unfolds, humans are in danger of losing their value, because intelligence is decoupling from consciousness. A German airport has introduced robot valets to take the hassle out of parking for travelers. Connected home tech helps people with Alzheimer's live in their own homes longer. Tomorrow Transformed explores innovative opportunities available in business and society through technology.